Container growing has many practical advantages. 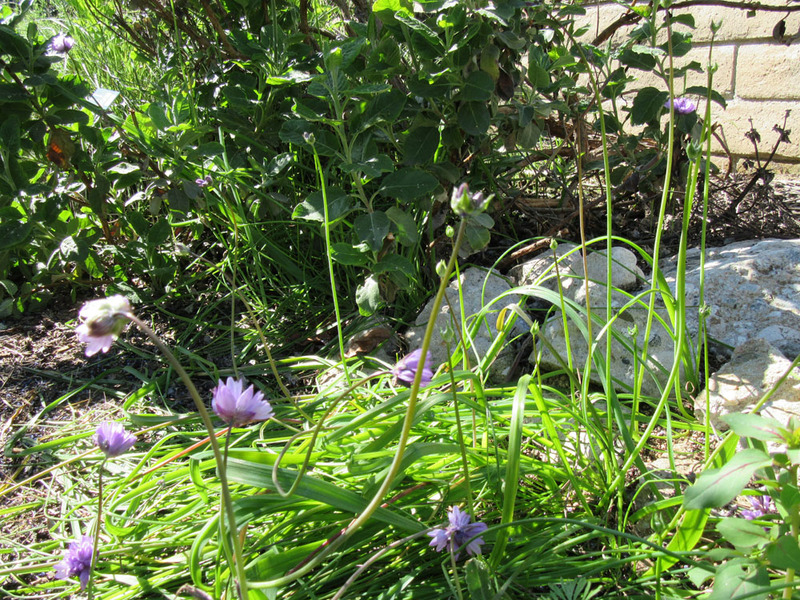 Containers permit gardening in tiny places – even those with no accessible earth. Growing plants in containers can be easier for those with physical or time constraints. Container gardening allows the gardener to tailor-make the growth medium to the needs of the plant. 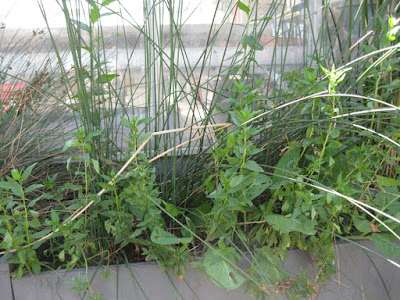 It also makes it possible to grow plants with very different water needs side by side. Container gardening also has aesthetic benefits. Carefully chosen containers increase the beauty of many gardens. A well-placed container can serve as an accent or focal point; it can also provide attractive aromas or attract favorite pollinators. 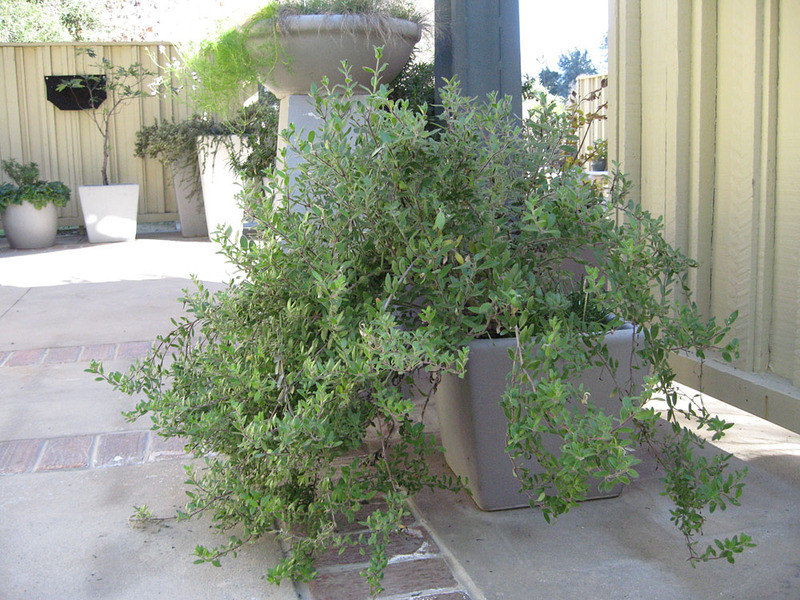 Groupings of container plants can soften a stark wall, entry way or awkward corner. Well-planned containers can even provide a spot of color for most of the year. But the big question for native plant gardeners is: can I grow my native plants in containers? The answer is an enthusiastic but qualified yes. 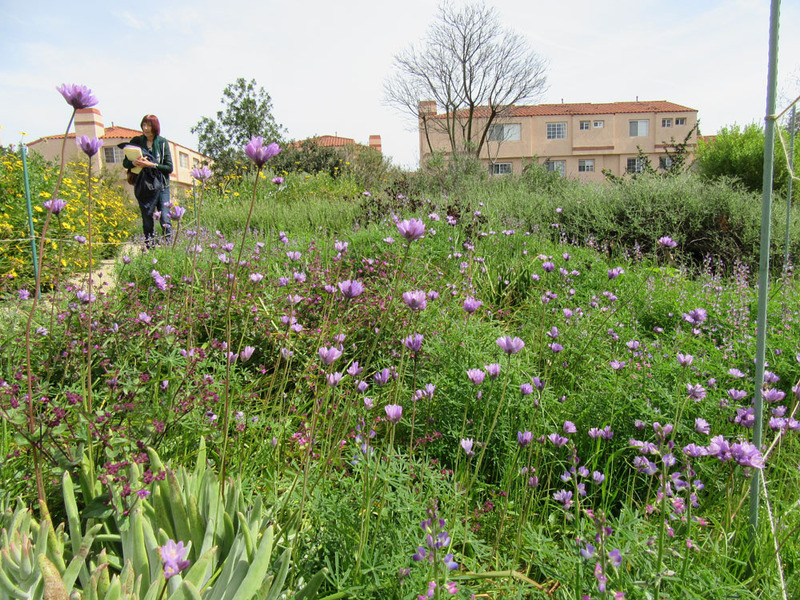 We’ve grown a number of California natives in containers – and learned a few things along the way. 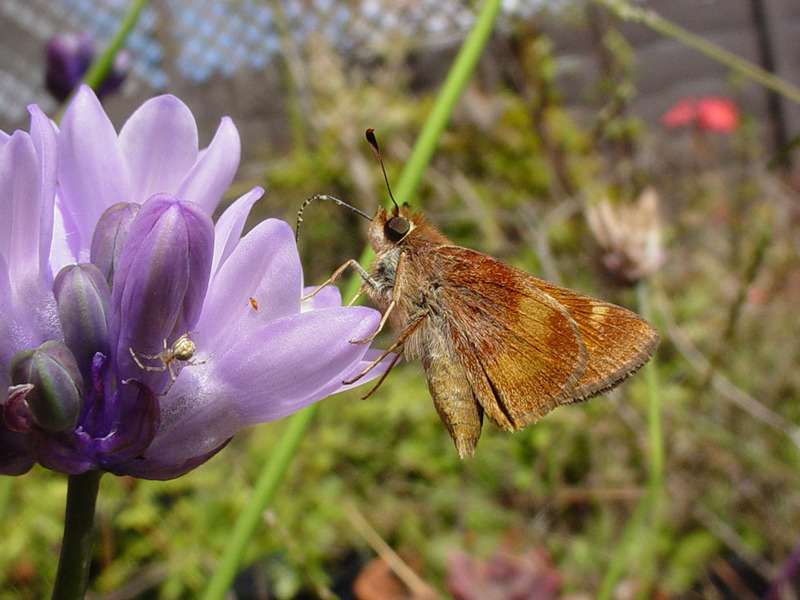 Here are a few tips for those considering container gardening with native plants. 1. Start with the easy ones. Some plants are made for containers. We suggest starting out with the easy ones, then graduating to those that require more skill, time and patience. 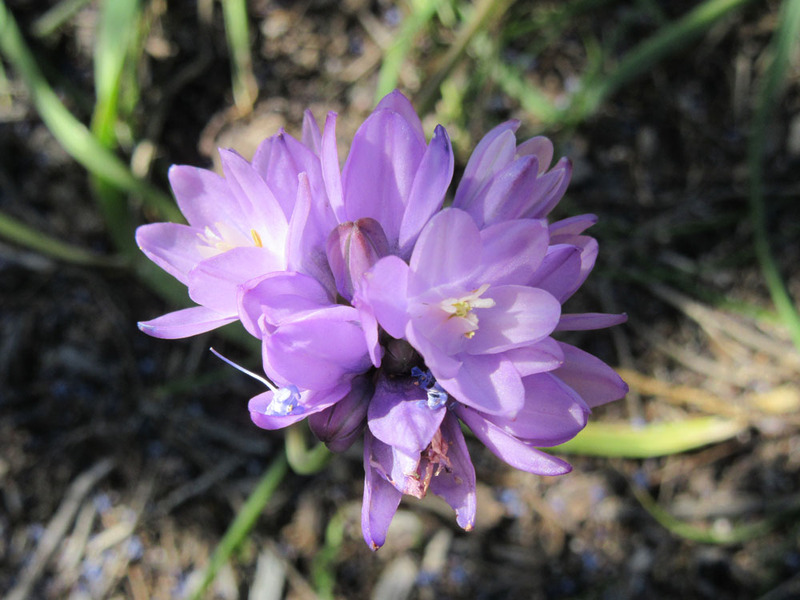 Annual wildflowers, perennials from bulbs and corms, ferns and grasses/grass-like plants (rushes, sedges, reeds, cattails) are a good place to start. 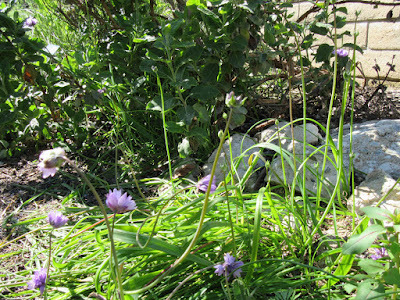 Next easiest are the herbaceous perennials. The most challenging (and those that require more work) are the larger woody shrubs and small trees. 2. Plants that tolerate some (or regular) summer water are easier than those that like to be dry. 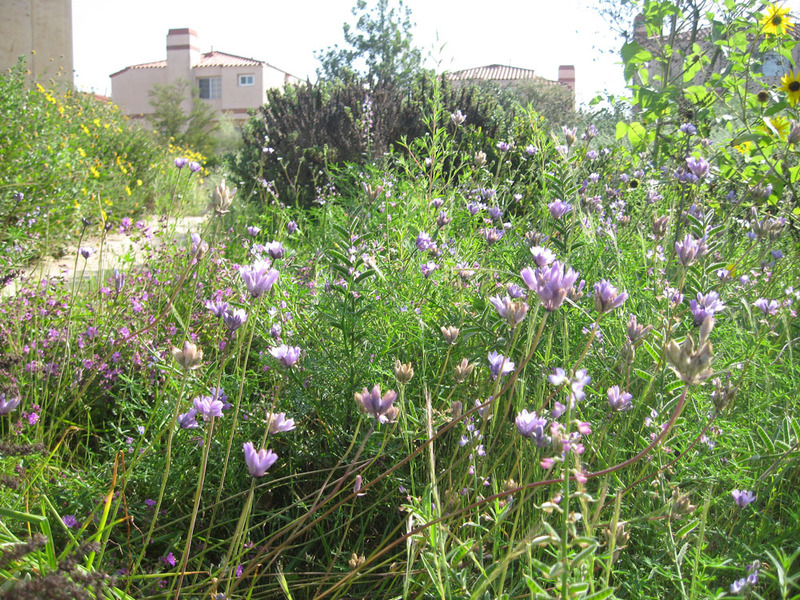 In nature, many California native plants have extensive root systems, allowing them to utilize both shallow and deep soil moisture. In containers, it’s easy to over-water plants that normally require no summer irrigation. Pots of spring-flowering annuals and native bulbs (which must be summer dry) can be stored in a cool dry place over summer. Other summer-dry container plants, including many Dudleyas, can watered sparingly if plants are moved to a shadier location. 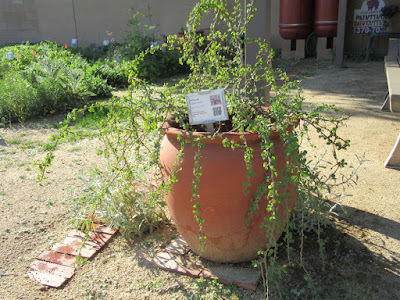 But some summer-dry species, like White Sage, are very difficult to grow in containers in S. California. Avoid trees and shrubs with strict summer-dry requirements. 3. Avoid plants with very deep taproots. 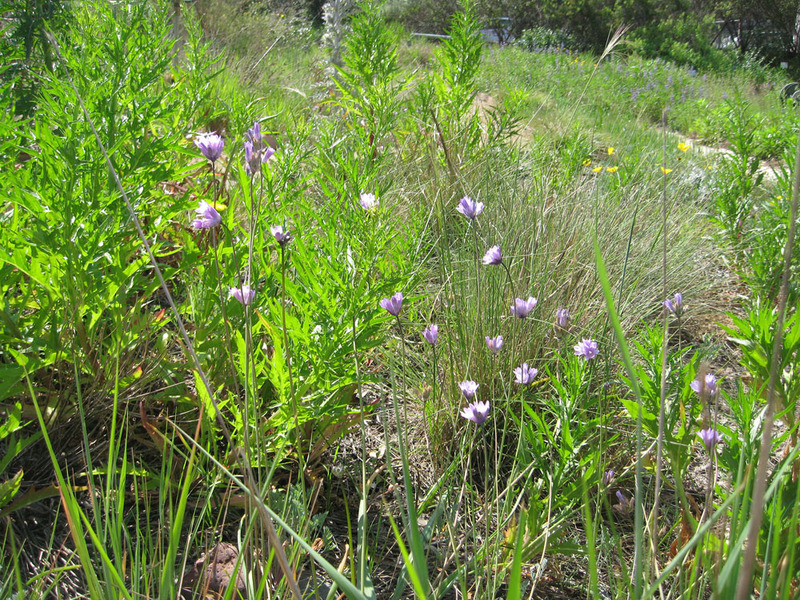 These woody plants survive summer drought by tapping into water reserves deep underground. 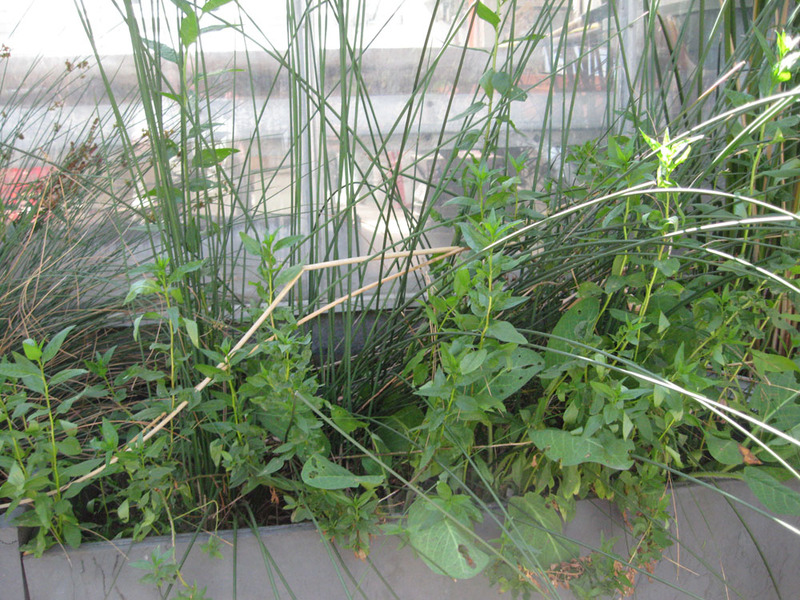 No container is deep enough to mimic these natural conditions; such plants are easy to over-water in containers. 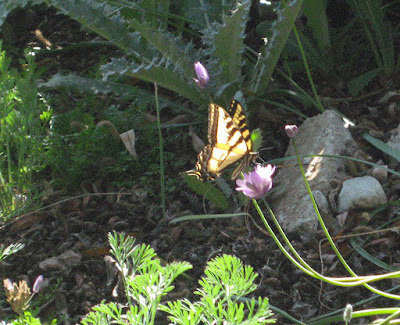 Plants with shallower taproots (for example, perennials like the California poppy) can be successfully grown in deep pots. 4. Plants that tolerate part-shade or shade are easier than plants that require full sun. Containers in full sun – and the planting medium they contain – get hotter than garden soil. And excess heat stresses plant roots and can ultimately kill a plant. 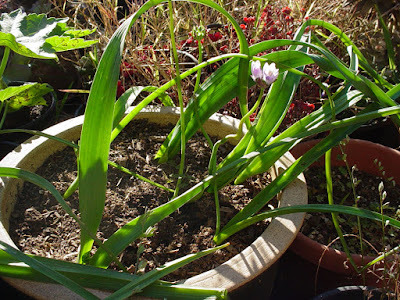 There are some work-arounds, if you need to container garden in full sun. Light colored pots, larger pots, and those with thick walls remain cooler. Probably the best solution is double-potting (cache-potting). Be sure that the inner pot (the one which contains the plant) has a diameter several inches smaller than that of the outer pot. Fill the space between the pots with vermiculite – or those plastic packing ‘peanuts’ – to insulate the inner pot. But the easiest solution, in hot mediterranean climate gardens, is to locate pots in shadier places – or at least move pots to shadier locations in summer/early fall. 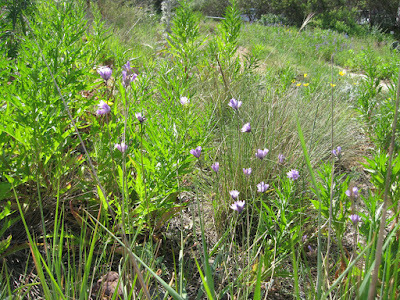 Fortunately, many California native plants do fine in part-shade or filtered sun. 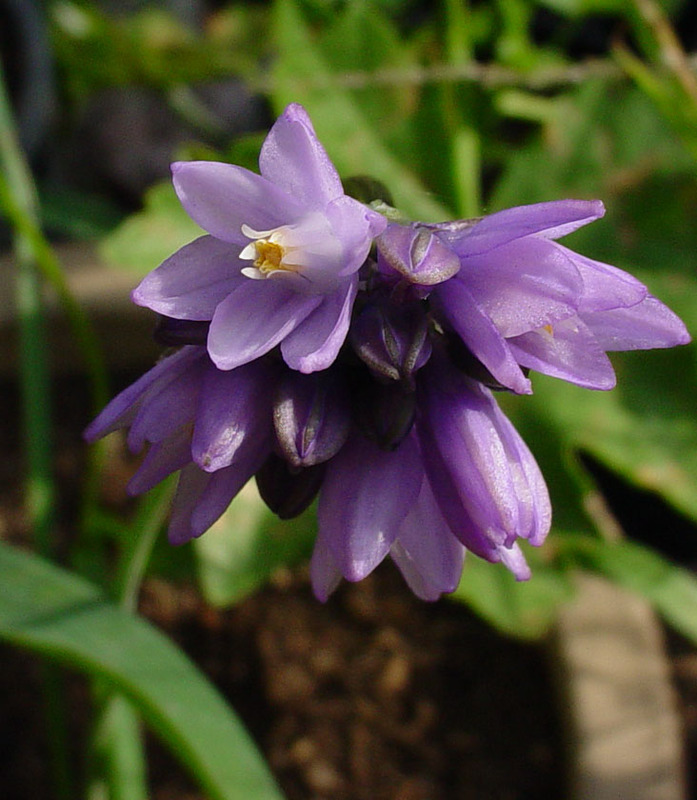 These include many annual wildflowers, perennials from bulbs/corms, herbaceous perennials, ferns, woodland shrubs and many others. We suggest you try moving pots to a slightly shadier location during the hot months. You can always move a plant back to a sunnier spot if it starts to get leggy. 6. Choose the appropriate container based on root characteristics. 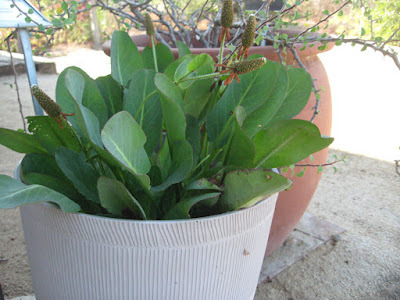 Both the size and the shape of the container can be important for growing natives successfully. Garden ‘bulbs’, annual wildflowers and some perennials (ferns; succulents; many herbaceous perennials) have relatively shallow roots, and can be grown in a wide variety of containers. For S. California, we suggest choosing containers at least 10-12 inches in diameter and deep; smaller sizes are too difficult to keep watered in our increasingly dry, windy climate. 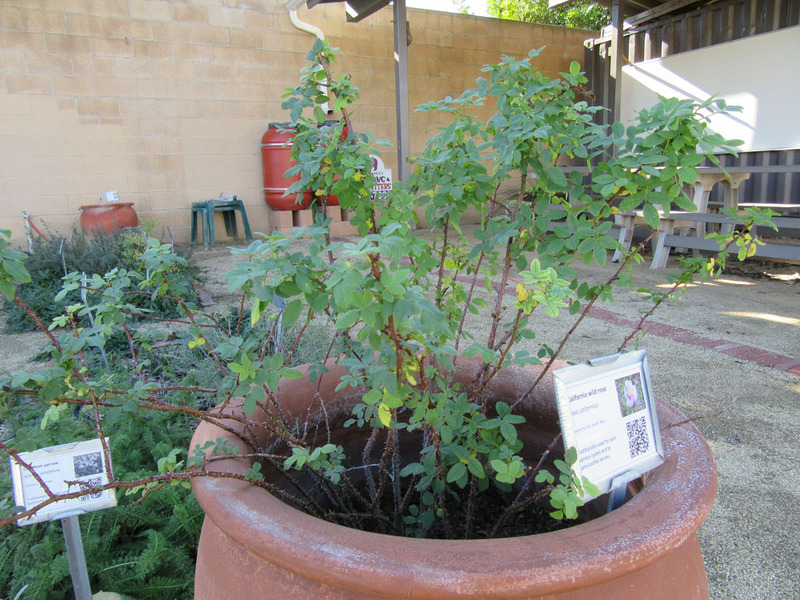 Native shrubs and trees – even the smaller ones – require more care in selecting an appropriate container. Many of them have relatively deep roots, in addition to the net-like shallow roots. For them, choose a pot that’s deep enough to allow the roots to grow. A deeper pot will also allow you to water more appropriately. You can let the surface layer dry out between waterings, better mimicking natural conditions. Learn as much as you can about a plant’s root system before choosing a container. Ask your local native plant nursery-person for advice. They may be able to suggest specific pots for the plant you’ve chosen. More container choices – including deep containers – are becoming available each year. 7. Tailor the growth mix to plant requirements. Being able to tailor the growing medium to a plant’s needs is a major advantage of growing plants in containers. We like to start with a basic potting mix; in our area, Kellogg’s All Natural Potting Mix or Kellogg’s Native Smart Planting Mix are good choices. You can then amend the medium as needed, for your plants particular needs. 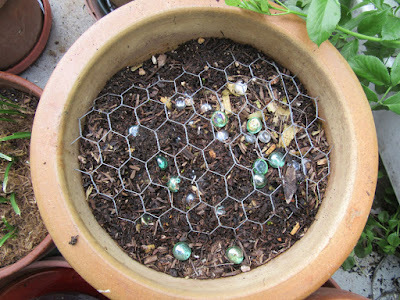 To create a quicker draining mix add perlite; for a moisture-retaining mixture add vermiculite. A sandy mixture can be achieved by adding some sharp (builders) sand, crushed rock (like decomposed granite) or lava rock. For an excellent review of soil amendments see reference 1, below. A richer, lower-pH soil (appropriate for forest-floor plants like native Huckleberries) requires the careful addition of peat moss, pine or redwood bark fines (finely ground pieces) or humus. We suggest testing the pH of the potting soil before and after adding ph-lowering amendments, to be sure your mixture is in the appropriate range. Test kits or pH paper are readily available in nurseries or where pool supplies are sold. 8. Monitor soil moisture carefully, particularly in extremely wet and extremely dry conditions. Plants in pots are more vulnerable to both extremes than plants grown in the ground. 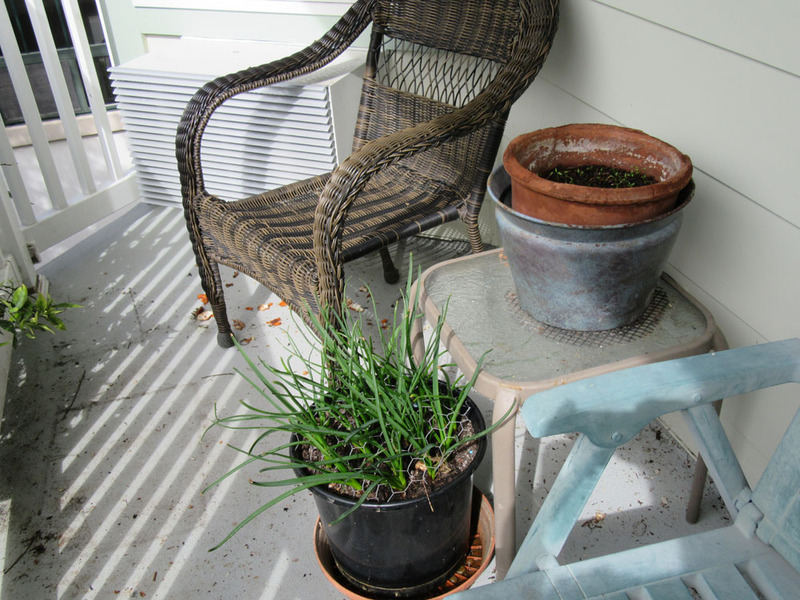 If possible, move pots to a drier location if plants seem to be ‘drowning’ during periods of excess rain. Keep close watch on your containers during hot, dry and windy conditions. Even large pots can dry out in a hurry. 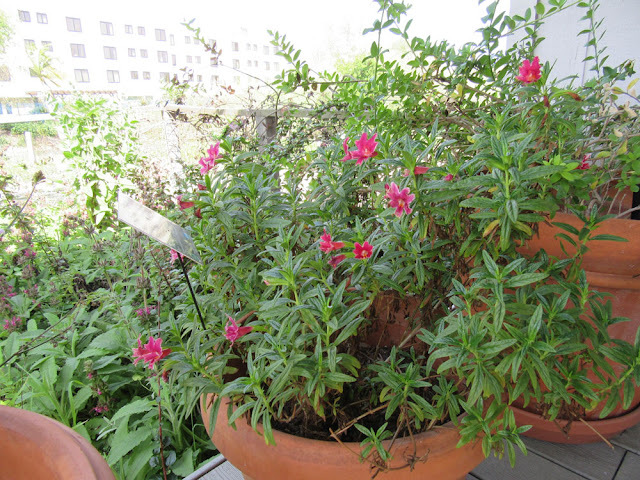 We sometimes water even large pots every other day – even daily – during the hottest times. 9. Give container plants a little fertilizer. The roots of plants grown in the ground continually reach out to obtain mineral nutrients. Container-bound plants have no such option. Even the least-hungry pot-grown native will need a little fertilizer sometimes. Base your fertilizer regimen on the needs of individual plant species. Those described as growing in ‘nutrient-poor soils’ won’t need much. Start off with a once yearly dose of ½ strength liquid fertilizer. You can always fertilize more often, if plants become nutrient deficient. No need to buy unusual (or expensive) fertilizer (unless your plant requires a low-pH type). We like the general purpose, liquid or water-soluble fertilizers; you can easily mix them with water to create a half-strength solution. 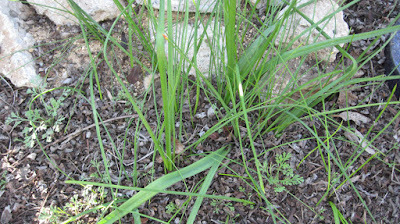 Fertilize when the plant begins to actively grow – often in late winter or spring. 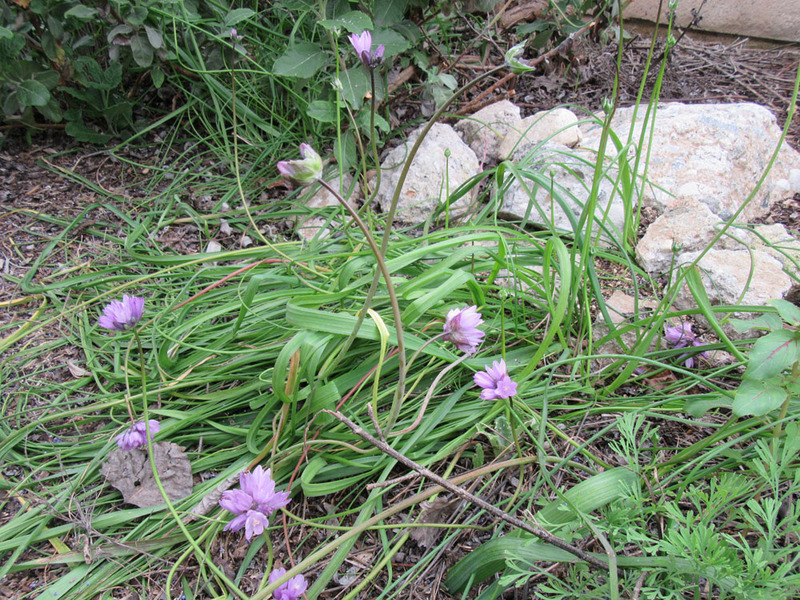 Plants that grow in leaf mulch on the forest floor, and those from riparian communities, like a richer soil. 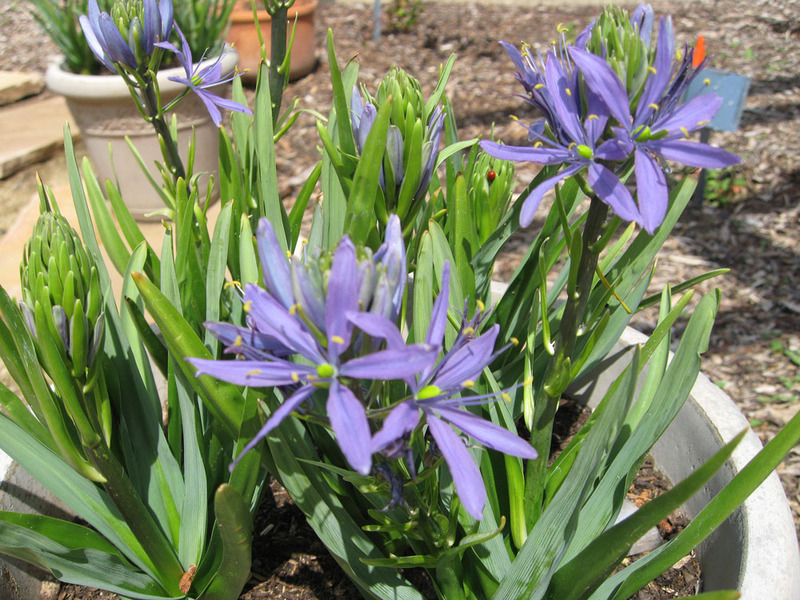 You may want to try incorporating a time-released fertilizer into the potting soil each year. We suggest starting with about half the recommended amount – you can always add more. Just loosen the top few inches of soil and incorporate the fertilizer. Alternatively, use the liquid fertilizer (half strength) several times during the growing season. 10. Repot or replace container plants as needed. If you’ve grown plants in containers, you probably recognize the signs that a plant needs repotting: the roots or plant are over-filling the pot, flowering decreases and the foliage may look a little less healthy. You can often carefully lift a plant out of the pot to check if roots are becoming crowded. Repotting a native is no different from repotting other plants. Let the potting medium dry out a bit to ease removal. 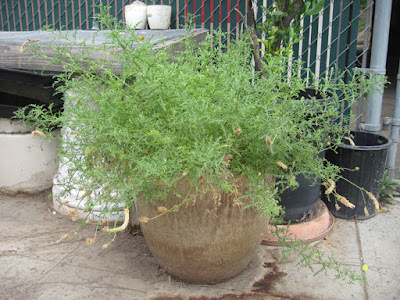 Then carefully remove the plant, divide it (if appropriate) or replant in a larger container. 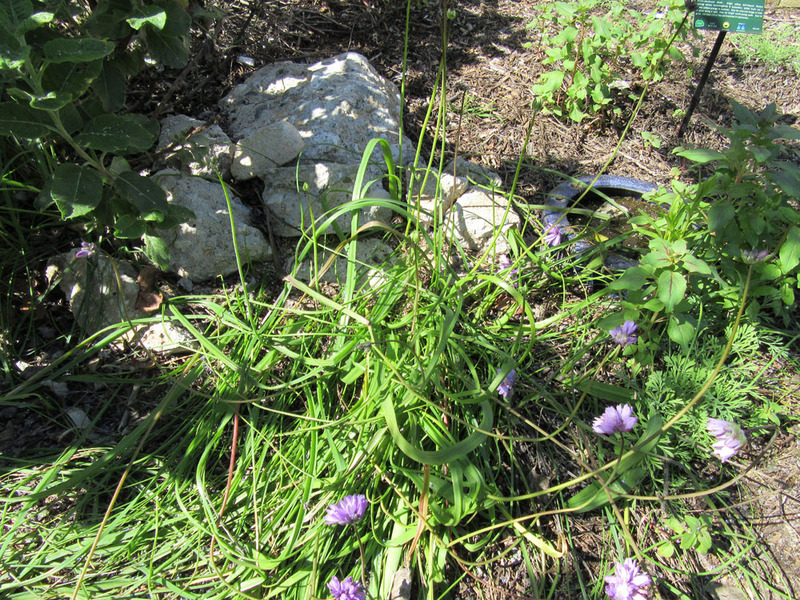 Plants that can be divided include native ‘bulbs’, grasses/grass-like perennials and those that reproduce via rhizomes or root sprouting. 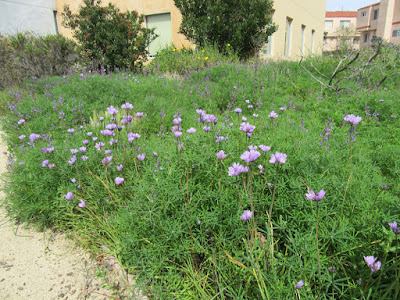 Such perennials are frequently used as groundcover plants, but can also be grown in containers. For more information on repotting perennials see ref. 2, below. When repotting woody natives into a larger pot, we suggest upgrading to a pot of at least 6 inches larger diameter. That way you won’t need to repot as often. 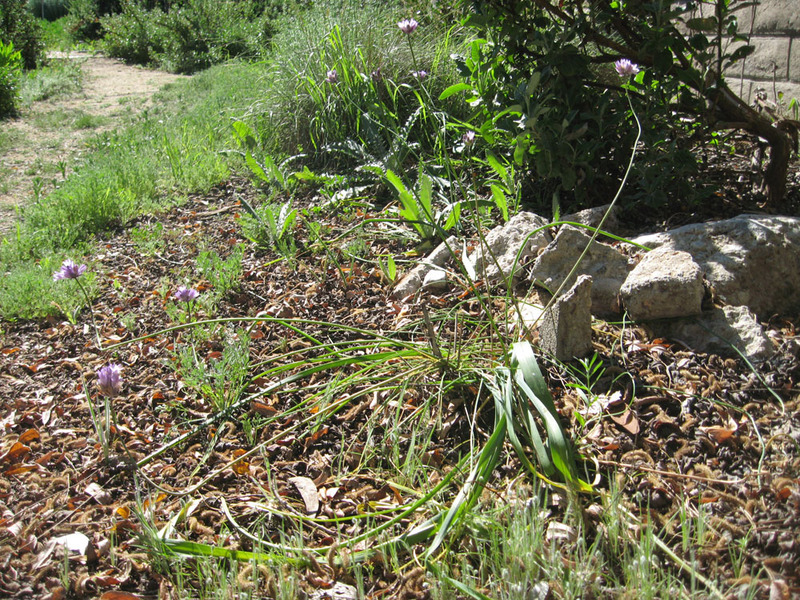 Loosen the soil around the roots, and remove as much old medium as can be easily removed. Prune off any roots that encircle the pot, and loosen other roots. Then use fresh potting medium when planting into the new pot. If you need to repot a woody plant back into the same pot, you’ll need to prune/thin the roots. This is done in the same way for native or non-native species. For more on repotting techniques see references 3-5, below. 11. Choose container styles that complement the plants and your architectural/garden style. Containers can provide unique and stylish accents – or just fade into the background, letting plants play the starring role. Choose containers that work with your style/design and either complement or highlight the plants they contain. Consider foliage, flower color and growth characteristics of the plants when selecting containers. Attractive containers are now available in all price ranges. Or unusual, recycled ‘containers’ may be just what your garden needs. Think about the role you’d like the containers to play before you purchase. You’ll likely be living with your choices for a while. 12. Choose plants with ‘added value’. 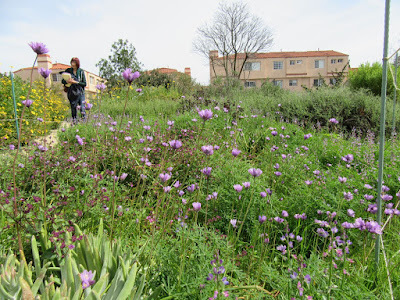 When choosing between plants, select the one that provides food, habitat, medicine, craft materials and/or scent over one that is simply pretty. Make the most of your limited space; that’s smart, sustainable gardening at its best!